For VIP quality Bahamas fishing in Nassau, Atlantis, Paradise Island and the Bahamas, fish with Paradise Island Charters - the sportfishing experts. 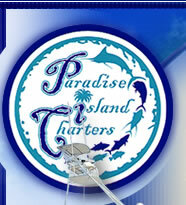 For many sensible reasons our boats are the best charter boats in Nassau and Paradise Island. We are unequaled for both private yacht charters and for professional grade Bahamas big game sportfishing. Call us for full day or half day fishing charters, private beach parties, island excursions and long range adventures to the Bahama out islands. We have access to world class chefs that can prepare any level of catering for in any style of cuisine. Ask for a hostess on those long range yacht charters we are discrete and engaging, to suit any occasion. We offer many types of activities we do not just fish. Scuba divers can enjoy the best the Bahamas has to offer or snorkel along and see it from the top. Beach parties and cruising are as much fun so come and enjoy our hospitality.